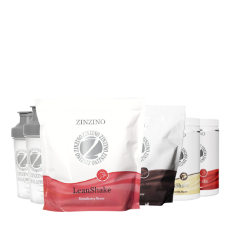 Zinzino LeanShake is a delicious and nutritious meal replacement. Use it to loose weight in a healthy way, as a healthy meal or before and after exercise. 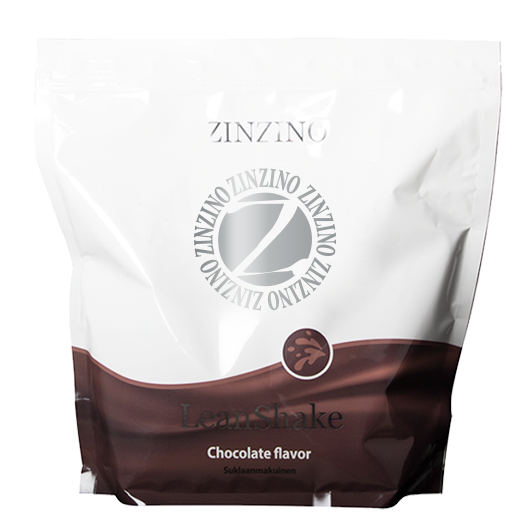 Leanshake is high in protein, dietary fibers and contains vitamins, minerals and other nutritious ingredients. It is free from gluten, soybean and contains only natural flavours. Choose between four delicious flavours; Chocolate, Strawberry, Vanilla and Berry. Whey protein isolate, milk protein concentrate, coconut palm sap powder, collagen peptide ((bovine)(Peptiplus® XB)), safflower oil powder, cacao powder, resistance starch (tapioca maltodextrin), flax seed oil powder, minerals (potassium citrate, calcium phosphate, potassium phosphate, sodium citrate, magnesium citrate, ferric pyrophosphate, manganese sulphate, zinc sulphate, copper sulphate, potassium iodide, sodium selenite, chrome chloride, sodium molybdate), medium chain triglyceride (MCT) oil powder, psyllium husk powder, oat beta glucan powder, stabilizer (maltodextrin), thickener ((xanthan gum (E415)), inulin, natural chocolate flavour, quinoa powder, coconut oil powder, honey powder, pineapple extract powder, papaya extract powder, vitamins (ascorbic acid, nicotinamide, tocopherol, calcium pantothenate, riboflavin, thiamine, pyridoxine hydrochloride, retinol, folic acid, biotin, cholecalciferol, cyanocobalamin) sweetener ((steviol glycoside (E960)) Contains milk. Gently shake the box a few times before opening. Mix 60 g (2 scoops) of powder with 7 fl oz of water or 30 g powder with 9 fl oz of milk and shake in a shake bottle for a few seconds. Enjoy. Substituting two of the main daily meals of an energy restricted diet with a meal replacement contributes to weight loss. Substituting one of the main daily meals of an energy restricted diet with a meal replacement contributes to the maintenance of weight after weight loss. It is also important to maintain an adequate daily fluid intake. A meal replacement is only useful for its intended use as part of an energyrestricted diet and other foodstuff are a necessary part of such diet. The diet should be varied and combined with a healthy life style. Before using this product or any weight control program, it is advisable to consult with a physician. This product should not be used by children under the age of four years or women who are pregnant or nursing or persons with eating disorders. Persons with medical conditions should not use this product without consulting a physician. Dry and cool with the lid on. What are the proteins used in LeanShake and what are their benefits? In the milk based LeanShake (chocolate and strawberry flavor) whey protein isolate, milk protein concentrate and collagen peptides are used as protein sources. In the vegetarian based LeanShake (berry and vanilla flavor) oat and pea protein are used. These are all rich sources of proteins and essential amino acids. Proteins contributes to growth and maintenance of muscle mass and the maintenance of normal bones. Why is the fiber content in LeanShake unique? Health scientists agree we should increase our daily dietary fiber intake. 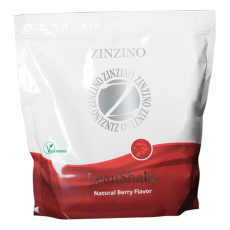 LeanShake provides a blend of dietary fibers that serve as fuel for the beneficial bacteria in our colon. The fibers in LeanShake stimulate the growth of good bacteria throughout the colon. There are over 100 trillion bacteria in the human colon and while some are good for our health, others are less desirable. The good bacteria use dietary fibers as their fuel, enabling them to outgrow and displace the less wanted bacteria. The good bacteria contribute to many important body functions, such as educating our immune system. They are also linked to better mood, stamina and health in general. 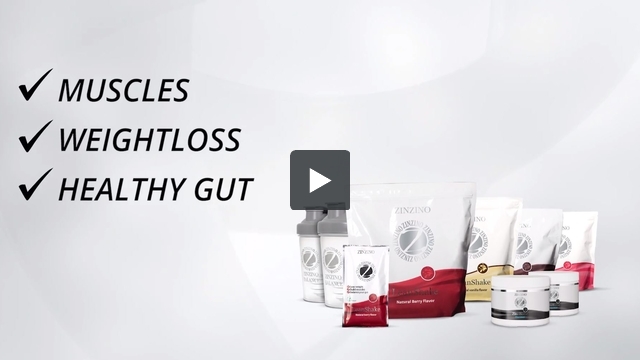 A healthy gut is essential for a healthy body. 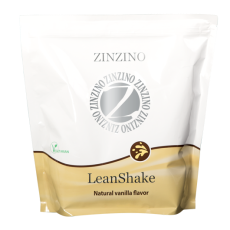 Which sweetener and natural flavors are used in Lean Shake? Coconut palm sap powder and stevia are used as sweeteners. In addition, honey powder is used for a good and balanced sweet flavor. What is the dosage of LeanShake per day? Mix 60 g LeanShake with 2-2,5 dl water, or mix 30 g LeanShake with 2,5 dl skimmed milk or milk substitutes for balanced nutrition and weight maintenance. Lose weight: Replace two or more meals a day. We also recommend you to eat one or two nutritious balanced meals a day. Fitness – Before or after exercise: once or twice a day. 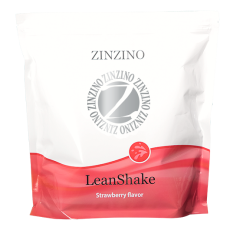 Weight control: Replace one meal per day with LeanShake. In addition, if you want one or more light meals per day you can use one scoop of lean shake and mix with water or milk. How do I qualify for the Health Challenge? Focus on a 90-day weight-loss or fitness goal, and you can win more than a better health. Enter the Zinzino Health Challenge (choose between 3, 5 or 10 kg) to become a Challenge Champion and win Mediterranean Cruise gift card - €3000! 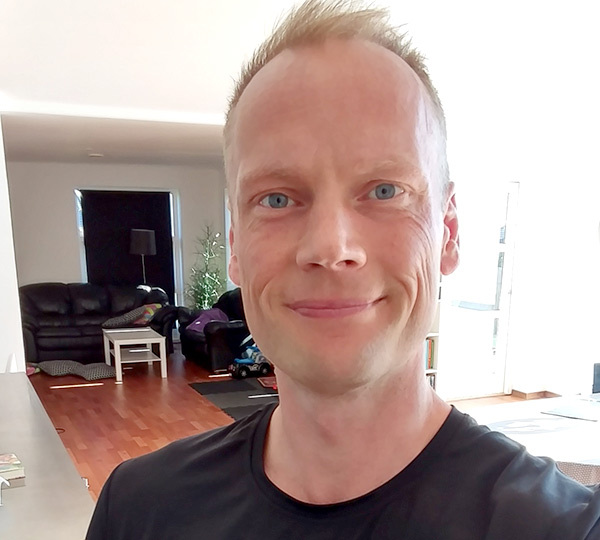 Take a new picture of yourself and send both your before and after picture to: healthchallenge@zinzino.com and share your three greatest tips on getting healthy. 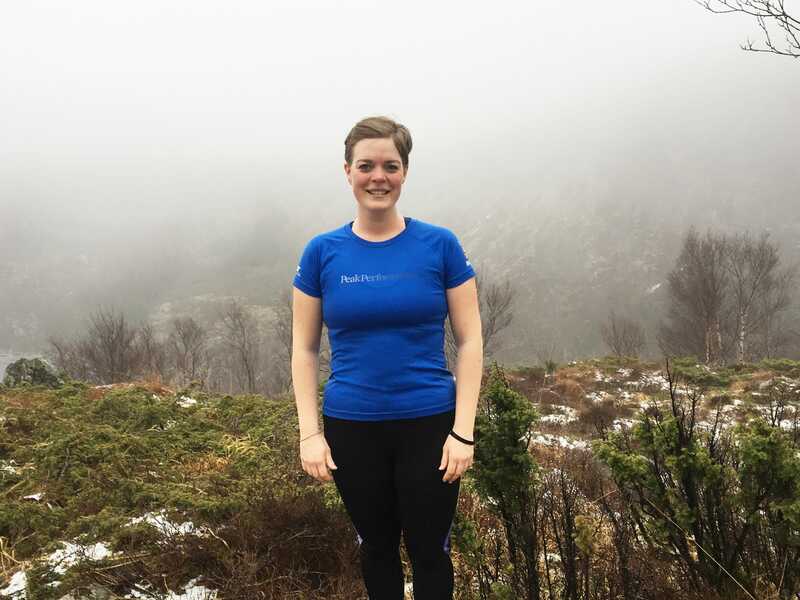 - Two customers or partners from each challenge (3kg, 5kg and 10 kg) will be announced as winners 1st of July 2017 at Leader School in Oslo! To be eligible for the Health Challenge a subscription order of our LeanShake Kit 3, 5 or 10 kg is required. 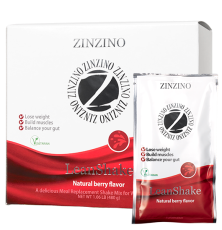 You may also have a LeanShake (2 boxes) subscription for 6-month or a Z4F partner auto order equivalent to the subscriptions. The gift card of €3000 (Europe) is for a Mediterranean Cruise (Europe). The winners must book the Cruise by themselves via the travel consultant (the winners will receive contact information to the travel consultant). By sending in before- and after pictures, participants give Zinzino the right to use these pictures in marketing the Health Challenge. The Challenge runs from 1st of January until 1st of July 2017. Focus on a 90-day weight-loss or fitness goal, and you can win more than a better health. 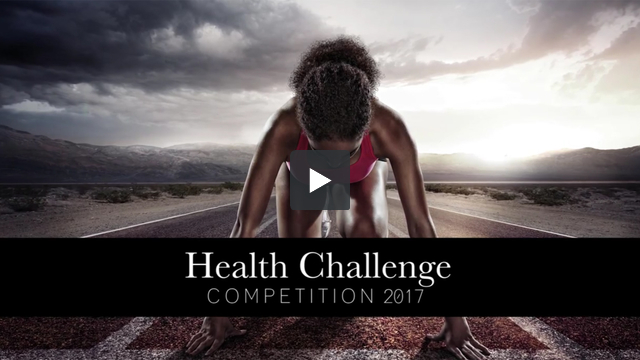 Enter the Zinzino Health Challenge (choose between 5, 10 or 20 Ib) to become a Challenge Champion and win a Cruise gift card - $3000! - Two customers or partners from each challenge (5 Ib, 10 Ib and 20 Ib) will be announced as winners 1st of July 2017 at Leader School in Oslo! To be eligible for the Health Challenge a subscription order of our LeanShake Kit 5, 10 or 20 Ib is required. 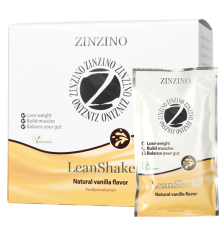 You may also have a LeanShake (2 boxes) subscription for 6-month or a Z4F partner auto order equivalent to the subscriptions. The gift card of $3000 is for a Caribbean Cruise (North America). The winners must book the Cruise by themselves via the travel consultant (the winners will receive contact information to the travel consultant). Are there any approved health claims on LeanShake? Substituting two daily meals of an energy-restricted diet with meal replacements contributes to weight loss. Substituting one daily meal of an energy restricted diet with a meal replacement contributes to the maintenance of weight after weight loss. Protein contributes to a growth in muscle mass. Protein contributes to the maintenance of muscle mass. 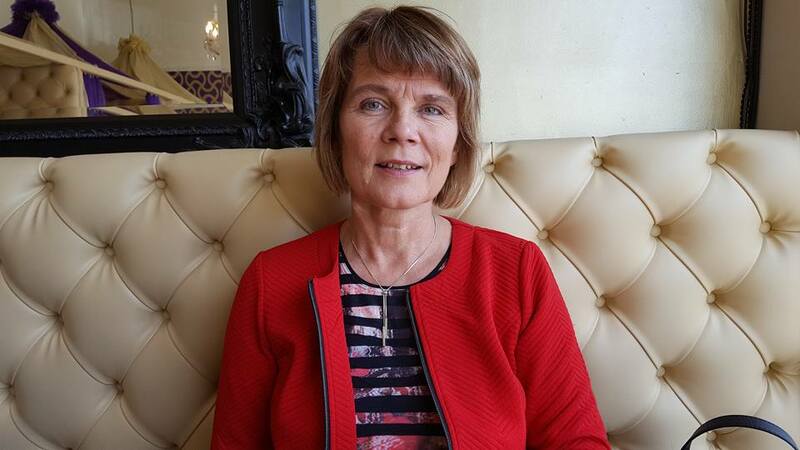 There are a number of approved EFSA claims for the vitamins and minerals found in LeanShake. For more information about these claims go to Shop and choose one of our Lean Shakes. Here you may click on the product box with more detailed product Information, and download the LeanShake product sheet. Where do I find more information about LeanShake? CHOOSE YOUR 3, 5 OR 10 KG CHALLENGE! I am so happy I signed up on the challenge and I recommend you to do it too. Focus on a weight-loss or fitness goal. 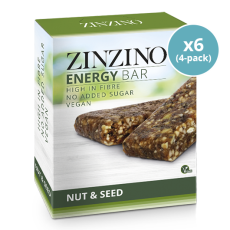 Then enter the Zinzino Health Challenge to become a Challenge Champion and win a trip! 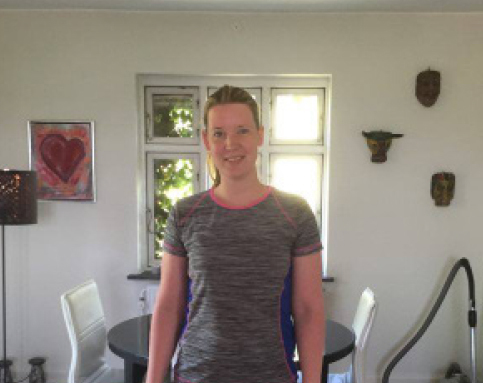 Through participating in the Zinzino Health Challenge I have learned to be proud of every progress I have made and that goal setting always work best when you divide your goal and achieve one goal at the time, step by step. Thank you for giving me the inspiration and opportunity to change my diet and body! To stay fit my advise is as follows: Exercise, drink a lot of water and make it a lifestyle to eat healthy. Thank you for encouraging me to start this challenge! During 10 weeks I exchanged two main meals per day with one Lean Shake. Sometimes I only replaced one main meal or used it as a healthy snack in between meals. This change in my diet may have contributed to my weight loss. I also exercised once a week and weighed myself every day. After 10 weeks I achieved my goal! 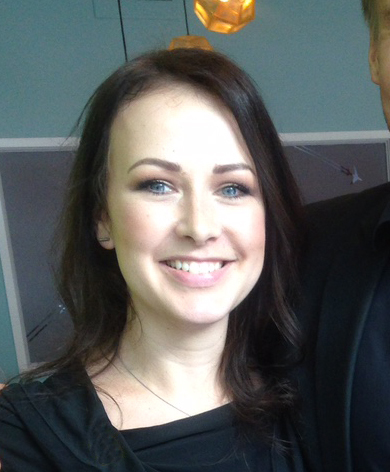 I feel great, full of energy and not hungry like on other diets. I am so proud of myself for reaching my goal through the Zinzino Health Challenge. Through the challenge I have learned that losing weight starts with preparation. I made sure to never run out of healthy greens and foods. That way I wasn´t tempted do make unhealthy choices at the supermarket. I also announced my goals for my friends and family and they inspired me to follow through. Thank you for the opportunity to not only improve physically, but also mentally in the process. 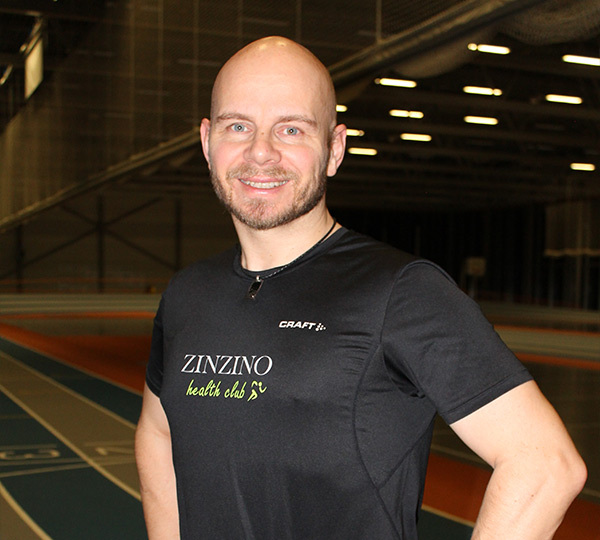 When I joined the Zinzino Health Challenge I decided to announce it on Facebook and in front of all of my friends and family. Lots of people have curiously followed my journey and it increased my commitment to follow through. Through participating I have learned that everything starts with implementing good habits. If your habits don´t compromise time with family and work, it is easier to keep them over time and continue to succeed. I am so happy for joining this challenge. It has changed my life to the better. 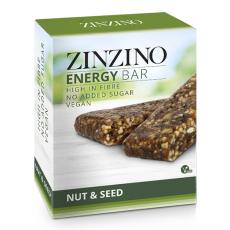 Select your country to see what Zinzino products are available to you!